220 shoes found. Page 1 of 11. White women's shoes, leather insole, textile upper, rubber sole. 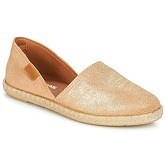 Ocre tan women's shoes, leather insole, textile upper, rubber sole. 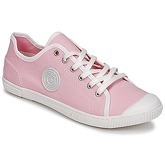 Pink women's shoes, leather insole, textile upper, rubber sole. 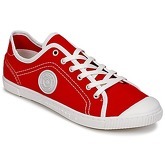 Red women's shoes, leather insole, textile upper, rubber sole. 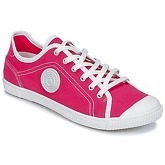 Fuschia women's shoes, leather insole, textile upper, rubber sole. Green women's shoes, leather insole, textile upper, rubber sole. Khaki women's shoes, leather insole, textile upper, rubber sole. 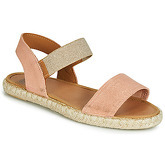 Pink/gold sandals (also available in Red / Gold), rubber sole. is a French producer of footwear for women, men and children. The brand originated in 1950 in the town of Mauléon Soule, in which it became famous for producing first rubber-soled shoes. Soles of Pataugas shoes guarantee comfort and good adhesion to the ground. Children and youths who love running about in rain or skateboard will feel safe and avoid bruising, which often happens when they accidentally slip in shoes with plain soles. The offer of Pataugas includes well-made original urban shoes such as heelless ballerina, oxfords, sports boots, sneakers, fur-lined sneakers or high boots in various models and colors. The collection also includes trainers in crazy colors for unruly youths, solid trekking shoes for long walks and plain oxfords for innocent Cinderellas. In other words: everything you want. 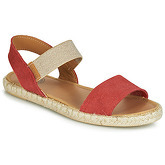 On this site you will find women's shoes in sizes from 3.5 to 7. There are 220 pairs of shoes starting with price of £57,38; 148 pairs from the whole collection are discounted at this moment. The most frequent shoes in this category are Trainers, Boots, Sandals and Ballerinas. There are 2650 brands, most of shoes comes from Office, New Look, Betty London, L' Autre Chose and Geox. The shoes are available in different colours, mostly in Black, Blue, White, Gold and Silver.